No, I’m not talking about hypodermic needles. These were from iPad Aunt’s house and since I’m the most avid knitter in the heirs, I brought them home with me. They felt a little sticky so I soaked them in some soapy water, dried them off and wiped them down with alcohol. Rubbing alcohol. There is still a bit of rust near the ends of most of the needles and I’m not sure what to do about that. 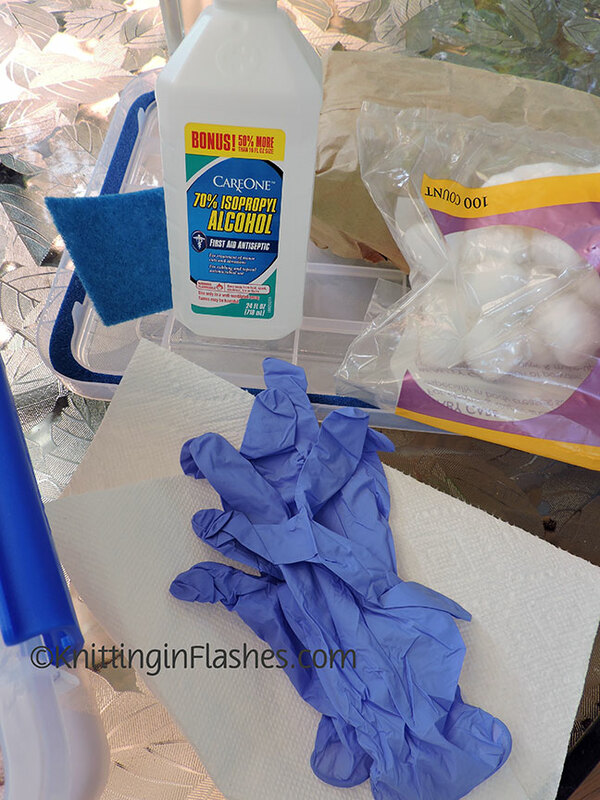 Dip the rusted part in clear nail polish? Ignore it? Any suggestions? I don’t k ow what to do about the needles, but why do you have a Playtex girdle container in your needle basket? 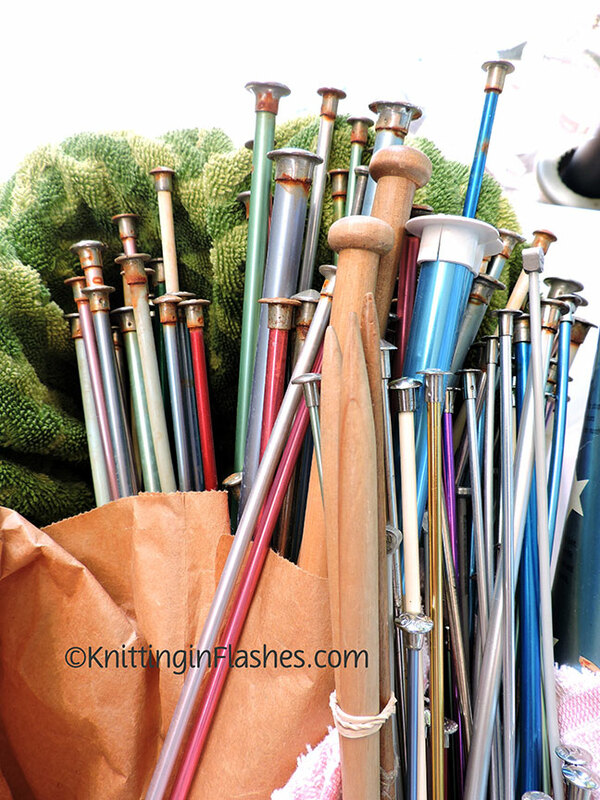 iPad Aunt had the knitting needles in the girdle tube. 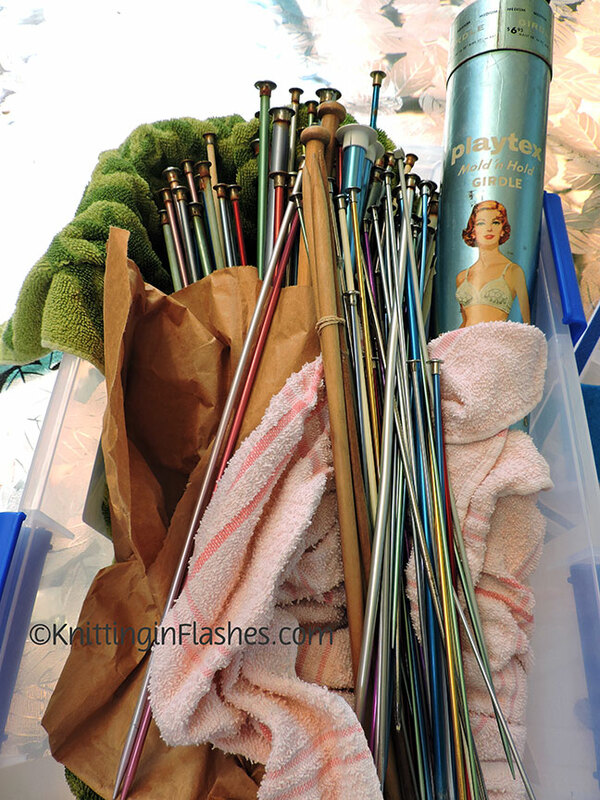 Kept most of the needles straight and all in one place. WD-40 for the rust. Then you can soak it in Dawn (a de-greaser) to get rid of the WD-40. Thanks for the suggestion. I’ll try some WD-40 in the bottom of a jar so I can soak the needle ends. 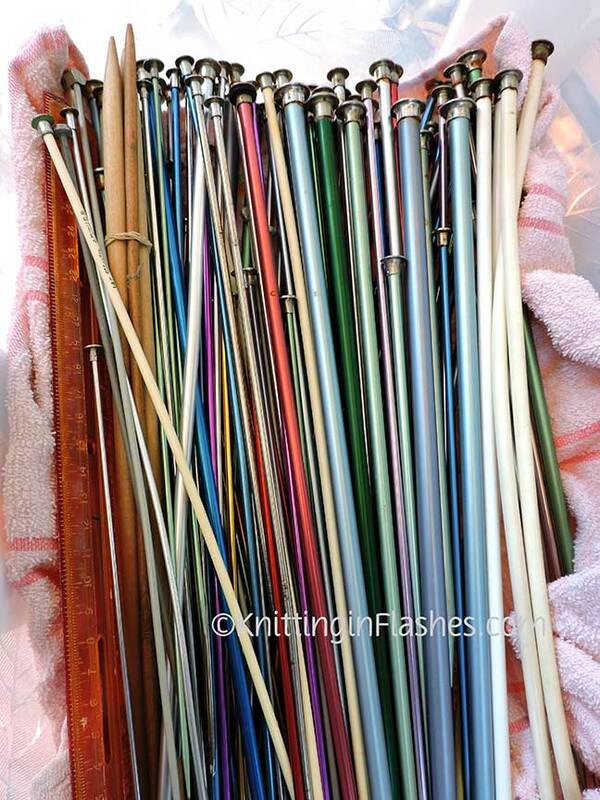 The girdle tube was the perfect thing to store knitting needles since it was long enough and kept them corralled easily. Most double-point needles (you had the correct term!!) aren’t that long – maybe 4-6 inches so that particular tube would be overkill.